If you have ever imagined of that one wonderful and powerful waterfall to explore in Africa then this waterfall should be a must for you to include in your travel plan. Just along River Mtarazi lie Mutarazi waterfalls a 762 meters tiered horsetail waterfall within the Honde Valley, the eastern highlands, Manicaland province, Zimbabwe. This waterfall is the highest in Zimbabwe, second in Africa and 17th worldwide. In most cases, this waterfall is also popular as Mtarazi waterfalls and features as the sixth largest in the world. It is located at close proximity to national park hence offering visitors opportunity to spot out most of the wildlife species especially antelope families, reedbucks, hyenas, bushbucks, the rare blue duikers, samango monkeys, baboons, klipspringers, leopards and many more. Besides, you can as well embark on forest walk to catch a glimpse at the spectacular tropical rainforest in this area as you also spot out some of the incredible avifaunal species. Mutarazi waterfalls are located in the north just around the Eastern highlands in the middle of Nyanga National Park. It was once the first park to be established in Zimbabwe and features greener hills and perennial rivers. The other natural feature within this park is Mount Nyangani and this is the highest point in Zimbabwe. This spectacular waterfall can be reached from Pungwe drift where you will set off via stunning pathway to the south while maintaining the main route. At about 7 kilometers, you turn left to route marked Mutarazi falls and then drive 11.2 kilometers pass far and wide activity center, 12.25 kilometers turn off to Honde Valley view point, and 14 kilometers to Mutarazi falls car park. The waterfall view point takes about 600 meters for one to walk from the car park. While returning, it is important that you take on path to Pungwe falls and then use directions at the entry of Pungwe waterfalls. It is just 11.5 kilometers off Pungwe falls and this waterfall lies with 2495 hectare Mutarazi National Park which is near the southern border area with Nyanga National Park in Zimbabwe. Interestingly, the administration is also joint based with Nyanga protected area. Tourists can park at the car park and simply take a walk for about 600 meters to its edge escarpment which rewards travelers with breathtaking views of not only this waterfall but also the Honde Valley about 800 meters below. This area has some rocks and steps to make your walk easier but hikers need to be careful with the sheer cliff edge. This spectacular waterfall originates from a point where Mutarazi River meanders over the edge of eastern escarpment of Zimbabwe highlands and entirely can be spotted by travelers from the top. It is breathtaking waterfall the fact that the River powerfully flows over the cliff face of over 762 meters. It can be visited at any time of the year-Monday to Sunday and entry fee includes that of Pungwe waterfalls as well.Travelers can pay a visit to this splendid waterfall at any time of the year the fact that its weather conditions are ideal all year round. Conclusively, Mutarazi waterfall is ideally one of the world’s most amazing natural wonders that are worth exploring. Due to its strategic location to Mutarazi River and other protected areas, it rewards visitors with exceptional views of not only its stunning water but also most important wildlife species that thrive within this area. With all this diversity, visitors on safari to this site will return with lots of unforgettable and memorable experiences. If you are looking forward to visiting an endowed African destination not thronged by tourists, then Nxai Pan National Park of Botswana is your perfect choice for authentic safari experience. The Park comprises of Nxai Salt Pan, one of Makgadikgadi Pan Flats which is so far the largest salt pan in the whole World but this Park is found within the north-eastern side of this South African country, on the northern edge of the Makgadikgadi basin. Nxai Pan National Park is a haven to a cluster of a thousand year (millennia) old baobab trees, also known as the Baines’ Baobabs named after Thomas Baines, the man who allegedly discovered them and are so far one of the most desired and sought after tree species by tourists in Africa especially to Botswana. Established in 1992, this site is contiguous to the Makgadikgadi Pans National Park but extends for an area of 2578 square kilometers with the main tourist feature being the waterhole at the heart of the Park in a vast grassy plain. While here and within the Mopane woodland is where animals such as bat-eared foxes, giraffes, jackals, zebras, Cape wild dogs, greater and lesser kudus, Aardwolf, Springbok, impalas, elephants, impalas, wildebeests, Aardvarks, lions and other smaller animals in addition to beautiful bird species such as Ostriches can be spotted. Most interestingly, this National park is a significant area where large herds of migrating herbivores that attract predators especially leopards, cheetahs, lions, African wild dogs and hyenas can be experienced. As much as most National Parks are perfect for game viewing during the dry winter months (from June to September) when the short grasses make game viewing easier but that is not the case with Nxai Pan National Park where the first summer rains starting from November to December offer a perfect Garden of Eden for tourists visiting the Park. The rainy season is the home to the seasonal zebra migration where large herds of zebras accompanied by some predators can be seen within the vast open grasslands amidst the shade of Acacia trees while the dry season is when the other wildlife species can be spotted within Nxai Pan National Park. This National Park offers wonderful birding opportunities during the wet months where numerous species of raptors, red-necked falcons and Kori Bustards among others can be spotted. When the salt pans are filled with water after rains, there is definitely a heavy influx of flamingos. Some of the adventures offered by the Nxai Pan National Park include nature walks, game drives, Quad biking, bird watching and cultural encounters with the local San Bushmen (and enjoy traditional activities such as trap setting, fire making and hunting). This Park is open for visitors from January to January but wildlife species are abundant from December to April much as the rains are heavy during this time and the roads may be difficult to pass through. However the Park is more accessible in the dry season from June to September but is also the time when wildlife converge around the permanent water sources that suddenly become a beehive of activities with predators such as leopards and lions choosing these places for hunting their prey-zebras, springbok and gemsbok among others. There is currently only one Safari Lodge and two Campsites within this National Park but there are many others within borders of the Park or the neighboring Makgadikgadi Park that undeniably has easier access to Nxai Pan National Park. It is obvious that the National Park is remotely situated thus easily accessed by air from Maun Airport lasting 25 minutes followed by a short drive (15 minutes) to the Park. The main entrance to the Park is 136 kilometers out from Maun on the Maun-Nata road or only 65 kilometers from Gweta turnoff if traveling from the east. Lake Mburo National Park is located in western Uganda and it covers an area of about 260 square kilometers. The park largely features acacia woodland and compared to most of the protected areas in Uganda, Lake Mburo National Park offers refuge to distinct faunal species. This is the best safari destination for one to spot out gigantic eland antelopes, topis, leopards, jackals, hyenas, zebras, buffaloes, Bohor reed-buck, warthogs, otters, bush pigs, Defassa waterbuck, African golden cat, Oribi, Bushbuck, duikers, snakes, as well as acacia bird species like the shoebill stork and its sculptured landscape that come with the rolling grassy hills and stunning Lake shores feature forest galleries, acacia tree valley, seasonal and permanent swamps and all these feature variety of wildlife species. About 5 Lakes are also confined within Lake Mburo National Park offering refuge to most of the hippos and crocodiles and aquatic birds and its fringing swamp area offers refuge to sitatunga antelope, red or black and yellow papyrus gonolek. The park features the mosaic habitat that includes the rocky outcrops, bushes, thickets, vast and wooded savannas, forests, dry hillsides and many more. About 350 bird species call Lake Mburo National Park their home and the notable ones include the red faced barbet, yellow warbler, saddle billed stork, brown chested lapwing, shoebill stork, African wattled lapwing, carruther’s Cisticola, Tabora Cisticola, Abyssinian ground hornbill, white winged warbler, African scops owl and many others. The park is accessible within 3 to 4 hours’ drive off Kampala capital city. You can take the Kampala-Masaka-Mbarara route and turn left to Nshara gate that links to Sanga gate. This is one of the leading tourist activities in Lake Mburo National Park. It offers visitors a chance to explore the park’s wildlife and birds. While on wildlife safari, you will have a chance to spot out most of the elands, impalas, giraffes, zebra, leopards and many more. Night game drives offer opportunity to visitors to spot out most of the park’s nocturnal wildlife species like leopards and at times lions, bush babies, porcupines and many others. The experience takes around two hours. A boat cruise along Lake Mburo offers amazing opportunity to visitors to catch a glimpse at the park’s unique floral and faunal species on Lakeside like hippos, crocodiles, antelopes, otters and others as well as bird species like the African fish eagles, Rufous long tailed starlings, blue headed weavers, green necked doves, pied kingfishers, malachite kingfishers, Hammerkops, pelicans, herons, cormorants and shoebill stork. Lake Mburo National Park is one of the perfect safari destinations in Uganda for you to embark on birding adventures. About 350 different bird species call the park their home. The notable birding spots include the swampy valleys of Miriti and Warukiri and the roadside between Rwonyo camps. The prime birds to catch a glimpse at these areas include the black bellied bustard, brown chested lapwing, bateleur, Rufous bellied heron, coqui francolin, grey crowned crane, white headed barbet, red faced barbet, Nubian woodpecker, Ross’s Turaco, red shouldered cuckoo shrike, long tailed Cisticola, brown parrot and others. The park also offers the excellent experiences for visitors on guided nature walk. Early in the morning while on nature walk, you will have a chance to spot hyenas as they come back from their dens after night of being on the prowl, hippos, zebras, giraffes, eland, topis, butterflies, buffaloes and many antelope families. You may also embark on a trail to the top of the hills and view Lake Mburo and beyond, from here, you have a chance to view all the nine regional Lakes. You may also take a guided walk to the salt lick where you will spot out most of the wildlife species as they lick the salty soil. Situated approximately four (4) kilometers off Sanga gate, Igongo cultural center is one of the most tremendous historical sites that Uganda offers the world. The center allows you to explore more on Banyakitara that lived in western Uganda and comprises of Bakiga, Batooro, Banyoro and Banyakole. Igongo cultural center features numerous traditional grass huts that depict the way of life in the west. You can also have a taste of traditional food in the Igongo cultural center’s restaurant. If you are interested in exploring this forest, there are many Uganda tours and safari packages with this package but you must book in advance! The forest is an incredible birding spot and more than 40 distinct birds thrive within it, five of which are forest specialists. The prominent birds around this area include harrier hawk, green pigeon, narina trogon, grey backed camaroptera, double toothed barbet, shoebill stork and others. The forest features trees like acacia, palms, figs, markhamia, platycaluz and many more. Lake Mburo National Park features about 5 most stunning Lakes out of the 12 famous Lakes that are found in and around the protected area. Lake Mburo features as the biggest out of all the Lakes that are found in the park and several fishermen flock into the fish to fish and travelers to Lake Mburo National Park can also embark on fishing themselves and later arrange to have the fish prepared at the lodge where they are living. About 6 fish species thrive within the Lake including tilapia which is the most sought after specie for sport fishing adventure lovers. For visitors who are interested in this breathtaking adventure, the best spot for you is the Mazinga on Lake Mburo. Lake Mburo National Park features as Uganda’s only protected area where visitors can view wildlife safaris while on horseback. There are well trained experts at Mihingo Lodge to take you through the Lake Mburo. This adventure lasts for about 1 to 3 hours. Lake Mburo National Park also offers the most exciting and exhilarating guided bike rides in and around the protected area. You will have a chance to spot out most of zebras, buffaloes, antelopes and others. For visitors who are interested in more challenging mountain biking adventures then Lake Mburo is the best place for you. Come and experience nature while on your bike! Besides, you can also visit the Equator while on Uganda safari to Lake Mburo National Park or during your return journey to Kampala or Entebbe. The best accommodation facilities in Lake Mburo National Park include Mihingo Safari Lodge, Mantana Tented Camp, Mburo Safari Lodge, Rwonyo Rest Camp, Eagles Nest and others. In conclusion, Lake Mburo National Park is one of Uganda’s most stunning safari destinations that you consider in your travel itinerary. It is the nearest park from Kampala capital city. Moremi Game Reserve is found on the eastern side of the Okavango Delta in Botswana and covers an area of 5000 square kilometers (1900 square miles) which makes it very surprisingly large and diverse for a Reserve. This Reserve was named after Chief Moremi of the popular Ba Tawana tribe and now consists of lagoons, salt pans, grasslands, the thick Mopane woodlands, acacia forests, floodplains and savannahs. This exceptional ecosystem offers habitat to a wide range of wildlife species like never seen in other places in the African continent and it is for this reason that this Reserve was voted the “best game Reserve in Africa” by the Prestigious African Travel and Tourism Association during Indaba, South Africa’s prime tourism fair. Declared a Game Reserve on the 15th March 1963, Moremi was surprisingly the first Game Reserve to be created by local residents (BaTawana people) but that also meant that the local people-BaSarwa or popularly known as Bushmen that lived within the area lost their original home. These people under the leadership of the deceased Chief Moremi III’s wife-Mrs. Moremi were so concerned about the rise of hunting and cattle encroachment within the Okavango Delta and was initially managed by the Fauna Conservation Society of Ngamiland after creation but after its extension to include the Chief’s Island in 1979, this Reserve was taken over by the Department of Wildlife and National parks. This Reserve covers much of the eastern side of the Okavango Delta and combines drier and permanent water areas but some of the most interesting attractions within the site are the Chiefs Island and the Moremi Tongue. While here, tourists are guaranteed of experiencing unsurpassed views of the savannah game as well as bird watching within the lagoons. Also, there are dense woodlands that offer shelter to leopards and Cape Wild dogs while to the north-eastern side of the Reserve lies the famous Chobe National Park that is contiguous to the Moremi Game Reserve. Much as it is only 5000 square kilometers in size, Moremi Game Reserve is surprisingly biologically diverse with its landscape comprising of mainly Acacia forests, Mopane woodlands, lagoons and floodplains but only 30% of the Reserve is mainland with the largest part lying within the Okavango Delta. Although it is not one of the largest Protected Areas in the country, it rewards tourists with fantastic views that cannot be experienced in other places. It is a haven to almost 500 species of birds including forest, savannah and aquatic species of birds such as Pel’s fishing owls, Arnot’s chat, woodpeckers, African fish eagles, wattled cranes, kingfishers and barbets among others in addition to the wide range of wildlife species such as South African cheetahs, elephants, Angolan giraffes, Zebras, Southwest African lions, large herds of Cape buffaloes, Jackals, Black rhinoceros, impalas, Red lechwe, hyenas and Cape wild dogs among others. There are several adventures to enjoy within the Reserve and they include nature walks, game drives in 4WD Vehicles with the peaks being from July to October when seasonal pans dry up and the animals concentrate on the permanent water, Dug-out canoe rides and bird watching. There are few Safari lodges within this Reserve and only four places (namely Khwai, South Gate, Xakanaxa Camp and Third Bridge) set aside for Camping. However, there are several Lodges and Hotels within the outskirts of the Reserve where guests visit on game drives and other fascinating activities. This site can either be reached by air (through chartered flights to the airstrips that service the Lodges) or by road transport through Maun. A self-drive through the Game Reserve is recommended for experienced 4X4 drivers and usually in the dry season. The rainy season makes most of the Park’s areas inaccessible and some Lodges even close from December to February. They are a branch of Albertine Rift valley in the eastern border of East African rift valley. And all these Virunga volcanoes are located in the hearts of parks that host the rare mountain gorillas, which include; the Volcanoes national park in Rwanda, Mgahinga gorilla national park in Uganda and Virunga national park in Democratic Republic of Congo. The virunga massif slopes provide shelter to the endangered mountain gorillas giving visitors an opportunity to meet and interact with these great apes. The summit of every volcano rewards visitors with spectacular views of wildlife, national parks and the neighboring communities, which is an added advantage to the entire experience. Mount. Karisimbi is the highest of all the Virunga volcanoes and it reaches up to 4507m above sea level. To hike this mountain doesn’t require any experience but you have to be in good health and physical conditions. It requires two days to finish the entire hiking adventure on Mountain. Karisimbi. The 1st day you hike and set up a camp for an overnight and the last day hike to the top of the mountain and sight the open view of the bubbling Mountain Nyiragongo. And descend on the same day. Hiking Karisimbi can be enjoyed during the dry season when there is less rain fall and this make it simpler to hike the mountain. The temperatures in the morning and at night freeze to 0 degrees and hikers are advised to carry warm sweaters that can overcome the coldness. 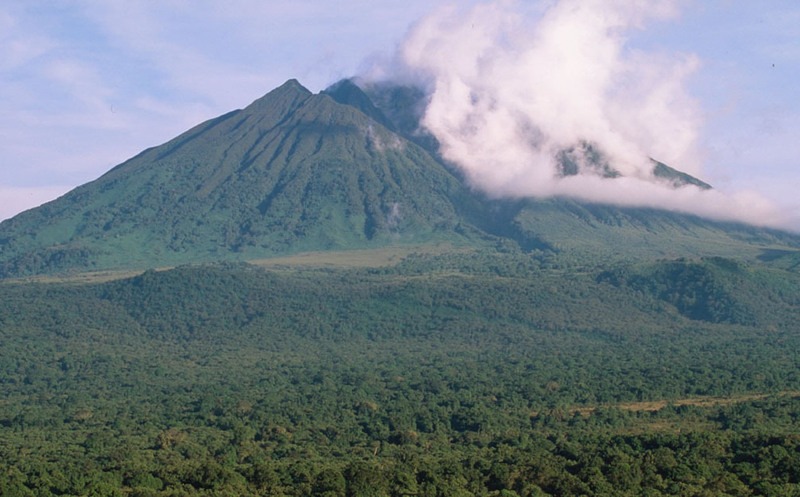 Mount Mikeno is a dormant mountain and found in D. R. Congo, in the fringes of Virunga national park. It is known to be the most challenging volcano to climb. Mount. Mikeno is the second highest volcano in the Virunga massif reaching up to 4437 meters. Its slopes are covered with a forest that provide shelter to the rare mountain gorillas and other wildlife species plus different birds. To hike this stunning volcano, you have to be physically fit. The third highest volcano in the Virunga massif is Mount. Muhabura and it is found on the border of Uganda and Rwanda. Climbing to the top of mount. Muhabura rewards travelers with amazing views of the twin lakes of Bulera and Ruhondo and other Virunga mountains. Some of the attractions on mountain Muhabura include the Crater Lake that is close to its summit, rare vegetation cover and mountain gorillas in the nearby Mgahinga gorilla national park. Hiking this volcano is a bit tough due to its steep slopes and the experience starts at 7am and lasts for the whole day to complete. Bisoke Mountain is another magnificent mountain that is worthy climbing. Also known as Visoke in D.R. Congo, this volcano is famous for having a crater lake on top. It has the most montane vegetation at varied levels and comes with bamboo forest, bushes among others. It also requires some one to be physically fit in order to hike through it. Mountain Sabinyo is the only volcano that is found in three countries. It is located at the border of Uganda, Rwanda and D. R. Congo. It has indented summit structure which describes its name. It also provides shelter to the mountain gorillas in the nearby Mgahinga gorilla and Volcanoes national parks, one of the gorilla families in Volcanoes national park was named Sabyinyo and it is one of the simplest gorilla groups to track. Despite Mountain Gahinga being the smallest of all the volcanoes, it provides extra ordinary hiking adventures. One day is enough to hike to the top of Mount. 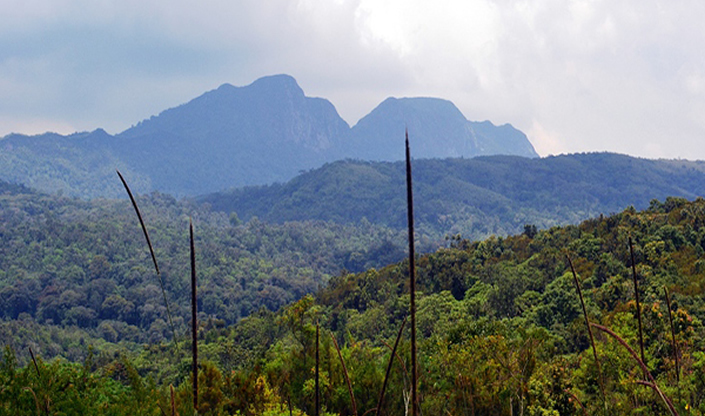 Gahinga and hiking it rewards travelers with life changing experiences like its scenic views. The volcano has caves that one should not miss to explore while hiking. It is dormant and it is found in Uganda. Mount Nyiragongo is one of the active volcanoes in the Virunga massif, in the outskirts of Virunga national park. It is found in D. R. Congo and it is popular for its powerful lava lake. Hiking this volcano gives travelers a chance to experience its powerful bubbling lava lake. Hiking Mount. Nyiragongo starts around Kibati patrol station in Democratic Republic of Congo accessing it depends on your speed and physical wellness, and the experience takes up to 2 days. Mountain Nyamuragira is the most active volcano in the Virunga massif. And its active state discourage travelers from hiking it. It is believed that the volcano erupted over 40 times since 1885 when it first erupted. It reaches up to 3,058 meters above sea level. And its slopes are covered by forests which house different wildlife and bird life. Take a hiking safari to the Virunga massif in Democratic Republic of Congo, Rwanda and Uganda and get a memorable experience. River Kafu is one of the treasured water bodies that can be explored by tourists who visit Uganda for safaris extending for a length of 180 kilometers and lies within the western side of the country flowing through several districts that include Masindi, Kibaale, Luwero, Hoima, Nakasongola, Kyankwanzi and Nakaseke Districts. 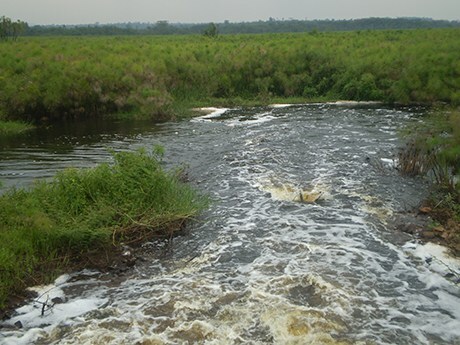 It is said to start from a swamp that is around 12 kilometers (7.5 miles) to the Northeast of Kitoma Village (with coordinates of Latitude:1.1500; Longitude:31.0820) within Kibaale District, western Uganda and drains eastwards before changing its course to the Northwards to pour its waters in the popular Victoria Nile (lying with Latitude:1.1500; Longitude:31.0820) as you will discover during a trip to the Northern side of Uganda. River Kafu is around 8 kilometers north of Masindi Port within Masindi District and the wetland which the River emerges from is also crossed or drained by River Nkusi much as it is noted to rise from a different location flowing past the swamp and later pouring its waters into Lake Albert with the western border of Uganda and the Democratic Republic of Congo. While at its source, this River rises at an elevation of around 1100 meters (3608 feet) above sea level whereas at its mouth, it stands an elevation of around 1040 meters (3412 feet) above sea level. This magnificent River has two main tributaries that include Rivers Mayanja and Lugogo that drain through vast permanent Swamps before finally pouring their water into River Kafu. The dominant vegetation around the River is thick bush thickets and papyrus swamps. The Basin of River Kafu is a home to a wide range of wildlife species including the rare leopards, bush duikers, bushbucks, Bohor reedbucks, sitatunga, Defassa waterbucks, elands, bush pigs, Oribis and many others. You should not miss to encounter all these animals during your safari in Uganda. Birds species such as the Hadada ibis, Marabou storks, grey crowned cranes, Shoebill storks (rare) and the red-faced barbets can be spotted at the Banks of the River or within the surrounding papyrus swamps. Mayanja River Lodge (featuring four private luxury Safari Tents with ensuite bathrooms, restaurant and bar) found within the basin of River Kafu (near Ngoma) is one of the beautiful places to spend nights and offers tourists with the opportunities of seeing the elusive sitatunga or several aquatic bird species. In conclusion, River Kafu is one of the magnificent attractions whose natural beauty and features cannot be missed during a safari in Uganda. Besides its length, surrounding vegetation and general beauty, it is also a haven to some wildlife species including bush duikers, bush-bucks, Bohor reed-bucks, sitatunga, Defassa water bucks, elands, bush pigs, Oribis and many others. This is luxury accommodation facility that is set within the spectacular Lake Kivu and rewards visitors with amazing natural setting of its surrounding areas. L’Orchids Safari Club well decorated and comes with mix of contemporary and traditional African style. This hotel features a fully stocked bar/lounge with all kinds of beers, wines, champagnes and it has a small restaurant, professional chef, staff and beautiful flower garden. 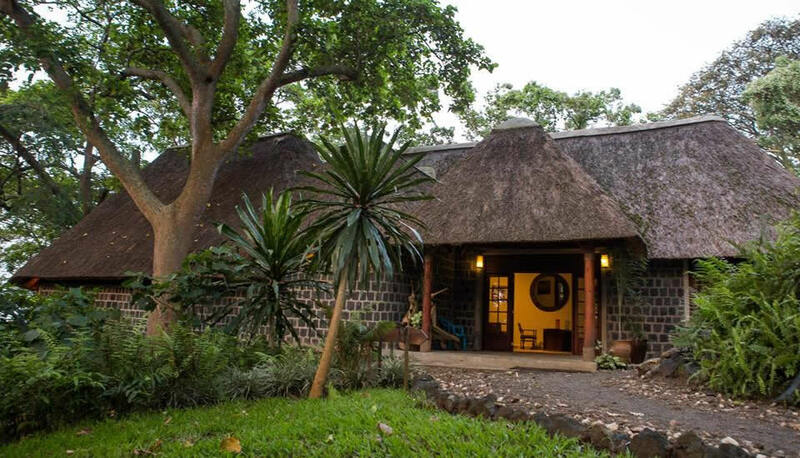 If you are looking for mid-range accommodation to have an overnight stay while on safari to Kahuzi Biega National Park then Coco Lodge shouldn’t miss out in your travel plan. This lodge features eight mid-range / deluxe rooms that also fully equipped with double beds, decorated in the theme of Africa which ideally makes visitors experiences memorable. It has TV, wireless internet network, restaurant, 2 lounges, bar, fireplace and VIP lounge, private bar for visitors. In most cases, they also provide discounted transportation for visitors on safari to Kahuzi Biega National Park and at times help book gorilla permits. Begonias Hotel is constructed in the spectacularly stunning green courtyard with a huge welcoming red flow of swimming pool, providing the best place for visitors to cool themselves in the course of the day after their lifetime experiences in the jungles of Kahuzi Biega National Park. For budget travelers, Exodus Hotel Bukavu should be a must for you to book for your overnight stay while on tour to Kahuzi Biega National Park. This hotel was set up in 2000 and features as among the oldest budget hotels in Bukavu. Lake Side Hotel is situated in Kabare and has fitness center, free wireless internet, garden, TV, bar and rooms that offer stunning overview of the Lake Kivu. This hotel is situated 4 kilometers away from South Kivu Parliament and six kilometers from the heart of Bukavu city just on the shores of Lake Kivu. This is a 2 star hotel in Bukavu town. It features as the first hotel in Bukavu dating 1990 and the first to host the prominent leaders of the world, popular authors and international celebrities. From the discussion above, Kahuzi Biega National Park is best explored for its rare eastern lowland gorillas and for visitors who are planning for this lifetime primate experience, the above listed accommodation facilities are the best for you to make a choice for your overnight stay at the park. Visitors on safaris to Kahuzi Biega National Park can combined their trips with mountain gorilla safari adventures in the Virunga National Park. Are you a primate enthusiast and you are planning to visit Uganda this coming holiday? Have you ever thought about tracking the rarest primates in your life? Did you know that the Mangabey monkeys can be tracked in Uganda? For primate lovers who are interested in catching a glimpse at the unique Uganda Mangabey monkey, Mabira Forest Reserve should be one of the spots that you shouldn’t leave out on your bucket list. The mangabey monkeys are scientifically known as Lophocebus Ugandae and they thrive in Mabira forest approximately 45 minutes drive off Kampala city center. The site is strategically located along Jinja highway so that even tourists on self drive tour in Uganda can easily stop over on their way to or from Jinja. The incredible primates in Mabira forest thrive in other parts like Bugoma forest, Semuliki, Kibale National Park, Lwamunda and Sango bay; however the biggest number thrives within the Mabira Forest Reserve. These incredible primates are believed to be descendants of the ancient world monkey and previously believed to belong to the grey cheeked mangabey. However, it is a rare species of its own compared to the famous grey cheeked mangabey, they have smaller face, smaller and shorter skull. With these amazing species, Uganda is proud to be a primate world with more than 19 distinct primate species. There are suggestions that these endangered species should also be included in IUCN Redbook list of endangered species just like most apes like mountain gorillas and chimpanzees. They mostly spend much of their time in the jungles and especially at the forest canopy; they depend much on fruits especially on figs and also shoots, flowers and insects. They stay in troops of five and more to even 30. They are mainly terrestrial although they can even go beyond and for lifetime experiences, Mabira forest features 2 incredible groups that are set for tourism. They are habituated and this means that they are used to human presence while they are exploring them in the wild. Like mountain gorillas, golden monkeys, chimpanzees, the Uganda Mangabey monkeys can also be tracked in the similar way. Other activities that are offered in Mabira forest that you should consider including in your travel plan are forest walks, birding, cultures especially with the local drama group, zip line adventures and butterfly identification and many more. For visitor stay, Mabira rain forest lodge is luxury facility that you should consider booking and for budget visitors, Griffin Falls Camp is the best choice for you to make. Mangabey monkey tracking in Uganda is conducted in Mabira forest which is one of the few tropical rainforests that are left in Africa today. This forest offers refuge to the largest number of these unique species for you to spot while on your vacation in Uganda. For primate lovers, this is an incredible site to include in your bucket list and you won’t regret in life. If you are planning to travel to this magical destination, expect more than birds, mountain gorillas, chimpanzees, the big five game, or adrenaline adventures at the source of the Nile and many more as you also have a chance to catch a glimpse at the rare Uganda Mangabey Monkeys while in their natural habitats. Located in Eastern Democratic Republic of Congo (DRC), the Virunga National Park is one of the important UNESCO World Heritage Sites that you should visit while on safari in Africa. The park features as the oldest protected area in Africa and it is famous as one of the most spectacular and diverse conservation areas in the world. It comes with savanna, swamps, Lava plains, erosion valleys, tropical forests, powerful volcanoes and ice fields of the Rwenzori Mountains. Virunga National Park covers an area of about 7800 square kilometers and it was designated as the world heritage site purposely to offer refuge to the rare mountain. Out of 900 individuals of mountain gorillas that thrive in the world, 200 of them are found in the jungles of Virunga National Park. Whereas the political instability barred most visitors from realizing their dreams in the Virunga National Park, the Democratic Republic of Congo is recovering from the insecurities and Virunga National Park is open for tourism. The park is famous to offer refuge to not the mountain gorillas but also the powerful Nyiragongo volcano with the world’s largest Lava Lake and hiking through it comes with incredible snow capped Rwenzori Mountains. Historically, Virunga National Park has been affected by the political situation in the country. It has tried to withstand the most of political unrest in the Democratic Republic of Congo. Appreciation goes to some politicians, conservationists, park rangers and wardens that the park has not only thrived but also currently experienced some growth in its tourism sector. Virunga National Park was established in 1925 by King Albert 1 of Belgium and initially was called Albert National Park, which featured as the first protected area in Africa. It was established mainly to offer refuge to the rare mountain gorillas that thrive within its tropical rain forest. With time, the park was extended up to the Bwindi plains, Lake Edward and the Rwenzori Mountains in the north. Around the first 35 years, the park boundary gained its shape, poaching was kept off and sustainable tourism continued as a result of the big body that picked interest in conserving the critically endangered apes. Land remuneration and use of park resources like fishing and illegal hunting by the local residents turned to be a continuous challenge and efforts to save these endangered species was established. Later, the park was renamed as the Virunga National Park and the first Congolese Wildlife Authority was founded and today it is called ICCN. Around 1979 the park was designated as a UNESCO World Heritage Site. The Congolese Wildlife Authority drastically lost control of Virunga and the UNESCO turned its World Heritage Site status as endangered. About 25 years, the Virunga National Park withstood the instabilities from Rwandan genocide which led to deep destruction of protected area’s forest. Currently the Virunga is under the management of ICCN. Tourism in the park has kept improving right from zero in 2008 to 2000 in 2010. This came with new activities like habituation of chimpanzees around the Tongo and several luxurious lodges around the major tourist attractions in the southern regions, north of Goma. The rare mountain gorillas in the Virunga National Park largely thrive around the Mikeno region, the park portion with forest that lies within the Nyiragongo Mountain. For lifetime experiences with Great apes, Virunga National Park features eight (8) habituated gorilla groups that have been set for tourism purposes. Gorilla permits are sold at $400 per visitor. Visitors on safari to Virunga equally have a chance to strike their imagination with these spectacular species within the one hour. Like any destination, visitors are advised to keep a distance of 7 to 8 meters away from the gorillas at all times and before setting off do not forget to put on your masks. Only eight visitors are allowed to track one group of gorillas. Gorilla trekking in Virunga start from one of the 3 patrol stations Bukima where most park rangers and trackers will accompany visitors to the forest. Bukima station is famous with visitors and it is near Goma town and it also comes with tented camp for visitor stays. Treks in the Virunga national park range from 30 minutes to 3 hours but this depends on the visitor speed, location of gorilla family and nature habitat. The whole adventure needs you to be physically well as it involves hiking through the strenuous altitudes and the thick forests. For lifetime encounters, the park is best visited from June to September and December to February. There are several exceptional lodges and accommodation facilities for visitor stay in the park some of which include Mikeno Lodge which features as the first lodge to be opened in 2011 in the Virunga National Park. It is strategically located at the heat of Virunga’s tourist attractions (Mount Nyiragongo, mountain gorillas and chimpanzees). A stay in this lodge gives you a chance to visit the orphan gorillas at Senkwekwe centre. The other lodges include the Bukima Tented Camp which lies within the main starting point for gorilla trekking. The lodge accommodates about 16 visitors. There is also Lake Kivu Lodge, Lulimbi Tented Camp, Nyiragongo Volcano Summit Shelters and Tchegera Island Camp. While planning for this adventure make sure that you have packed appropriately starting with waterproof hiking boots, camera, insect repellent, long sleeved shirts/T-shirts, bottle of water, sun screen, hats and many more. The Virunga National Park can be reached by air and road From Kigali International Airport where you will spend about 3 hours. It is advisable to book through tour operators or rent 4×4 car with driver in Kigali because self drive is not recommended in DR Congo. For visitors who wish to travel by air, there are international flights and the notable airlines to use are the Ethiopian airlines and many domestic airlines that set off and land into Goma airport. Basing on the above discussion, gorilla tracking is exceptionally one of the most strenuous experiences that require you to be physically well. You have to be prepared before traveling for the actual trek. However, a face to face encounter with the rare mountain gorillas is such a magical experience that comes once in a lifetime. Located about 40 kilometers from Bukavu Town Eastern Democratic Republic of Congo (DRC), South Kivu province next to Lake Kivu, Kahuzi Biega National Park is credited for its fascinating Eastern Lowland gorillas. The park covers an area of about 6000 square kilometers which makes it one of the largest protected areas in the DRC. The park was gazetted in 1970’s primarily to offer refuge to the Great apes-Grauer’s gorillas. The Lowland gorillas are the largest sub-species of gorillas in Africa. About 284 Grauer’s gorillas are known to thrive in Kahuzi Biega National Park out of the total of population of 5000. When it comes to gorilla trekking safaris, visitors do not only look out for a group of these fascinating apes but also other wildlife. About 135 species of mammal, 336 bird life and 12 other primate species including the Eastern chimpanzees, L’Hoests, the Blue monkeys, the black and white colobus many more can be sighted while on a gorilla safari in this spectacular protected area. Kahuzi Biega National Park is incredibly the best spot for you to catch a glimpse of the lowland gorillas while in their natural habitat. Additionally, Kahuzi Biega National Park is a home to 2(two)Volcanoes; Mount Kahuzi and Mount Biega from which the park derived its name. Kahuzi Biega is strategically located at the mountainous and low-lying area making it one of the diverse protected areas with several Albertine Rift endemic species and 69 reptile species and 44 amphibian species. With countless biodiversity that is inhabited in its jungles, the park is one of the popular UNESCO world heritage sites that you can visit if you are planning to take a safari to DRC. However, guided safaris are highly recommended to this park other than self drive. If you can’t not afford a guided safari offered by tour operators, at least you can cheaply hire a car with driver to act as a local guide and drive you through DR Congo. The Congolese Institute for Wildlife and Nature Conservation together with other conservation bodies amidst the civil wars, have tirelessly conserved not just the Eastern Lowland gorillas at Kahuzi Biega National Park alone but also several wildlife species within its habitat. With these collective efforts, Eastern Lowland gorilla tourism and conservation at Kahuzi Biega National Park has stood for years as it generates revenue not only to the government of Congo but also the local communities. Regardless of political insecurity in DRC, Kahuzi Biega National Park still remains safe and secure for lowland gorilla trekking as the political unrest impact is primarily experienced in some parts of the Virunga National Park particularly in the Eastern part and Northern Kivu Province. Although the 1990’s civil wars caused much impact on the Eastern Lowland gorillas and other wildlife species as well as their habitat due to poaching, the current safety around the Park has led to increasing number of tourists have been and still visiting the park mainly for Eastern Lowland gorillas and other wildlife species as well as paying a visit to adjacent local communities. The Grauer’s gorilla conservation in the DR Congo has been boosted by continuous efforts and initiatives on habituation of new gorilla groups, establishing a visitor center and accommodation facilities, introduction of more exciting tourism activities especially birding, volcano hiking experiences, empowering the local community members, training and equipping the park rangers so as to ensure longer visitor stay in the park. 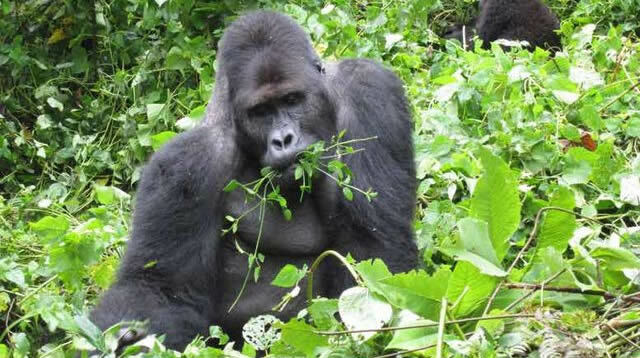 Like mountain gorilla trekking, Eastern Lowland trekking also allows visitors to spend only one hour with the apes. Permits for this lifetime experience cost $ 400 per person. With about 12 groups that in Kahuzi Biega National Park, only two habituated gorilla families have been set for gorilla trekking while more two are also still under going habituation process and they will add the number to 4 (four) troops. 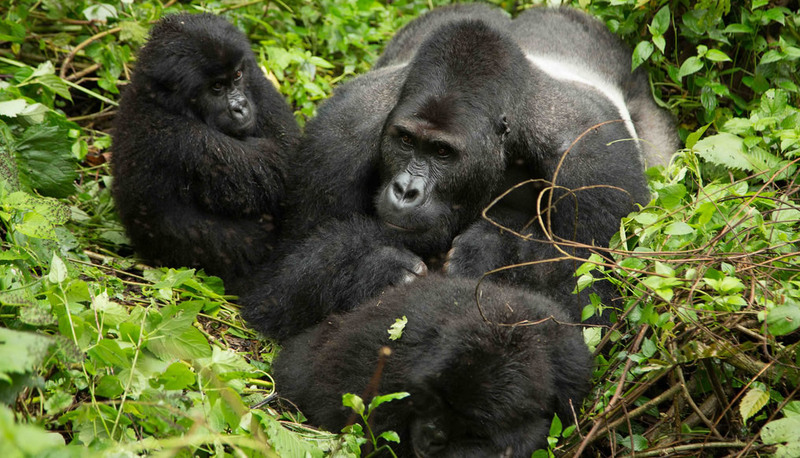 The more habituated gorilla families, the more opportunities for trekkers to achieve their time dreams! Gorilla treks at Kahuzi Biega National Park start at Tschivanga visitor centre and the trek normally takes around 1 to 6 hours depending on location of their group, speed of the visitors, and nature of the habitat. 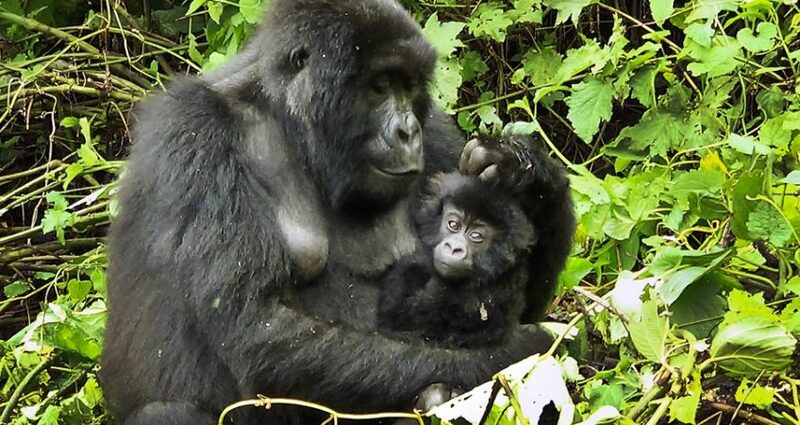 Trekking habituated gorilla families is advantageous as they come with many gorillas and this is of great benefit to trekkers as they are able to catch a glimpse of the silverback gorillas, female gorillas, infants, juveniles and sub silverback gorillas. Equally, tracking the Eastern Lowland gorillas also allows only 8 (eight) visitors per gorilla group. The Chimanuka family was named after the silverback gorilla-Chimanuka. This is the largest troop that you shouldn’t miss to track while on safari in Kahuzi Biega National Park. It is composed of about 37 gorillas, 17 female gorillas, 19 infants of about six months and nine years. The group is credited for its four sets of twins some thing very unique with the Eastern gorilla populations. Mugaruka a dominant silverback gorilla that lost one of his hands to poachers’ trap and currently he is the dominant silverback gorilla in Mugaruka family just after losing his female gorilla and many infants during the fight with Chimanuka. The Mugaruka troop is popularly called the last born of the sons of the late patriarch, Mushamuka. This silverback was born in 1987 and at the age of 3 (three) he got trapped in poachers’ snares which made him to lose his right hand. When he turned 10 years, he took over his father’s gorilla family-Mushamuka. Between 1999 and 2007, Mugaruka encountered many challenges from Chimanuka that led to loss of most of the members to Chimanuka. By 2007, Mugaruka also lost his last female gorilla known as Lushasha and his first born Cubaka which explains why he is the only gorilla in the group. When it comes to where to stay while on gorilla safari in Kahuzi Biega National Park, there are no safari lodges within the park but there are some near by accommodations like Exodus Hotel, Horizon Hotel, Coco Lodge, Hotel Begonias, Ruby Guest House, Orchids Safari Club or alternatively you can go for camping offers. In conclusion, Kahuzi Biega National Park offers visitors yet another exciting gorilla adventure of lifetime. If you are planning your mountain gorilla trekking in Virunga National Park, do not forget to visit Kahuzi Biega National Park for lowland gorilla trekking experiences.